Do you have a PDF document that you want to transfer to JPG? Well, there are several ways you can do this and many of them are even highly effective. But what if you don't have time and are looking for the fastest way to transfer PDF to JPG, you are in the right place. Not only will this article provide you with the best way PDF to JPG transfer tool for the job, but we will also show you how to use it, just to make everything easier. So, let's jump right into it with the best tool to transfer PDF to JPG. The best tool to help you transfer PDF to JPG is iSkysoft PDF Editor 6 Professional for Mac (or iSkysoft PDF Editor 6 Professional for Windows). The reason is simple; it is easy to use and very fast. The whole process of transferring PDF to JPG using this program will take no more than just a few minutes and in the simple steps will share with you shortly. It is also advantageous since it is an all-round PDF management tool that can do so much more than just convert a PDF document to other formats. More on that later; right now here's how to transfer PDF to JPG using iSkysoft PDF Editor 6 Pro. Unless you already have iSkysoft PDF Editor 6 Pro installed on your computer, begin by downloading the program to your computer. When the installation is complete, launch the program. Next, open the PDF document you want to transfer to JPG. There are several ways you can do that in this program but the easiest is to simply drag and drop the file into the main interface. To transfer the PDF file to JPG, click on "Convert > To Image" and then select the output format as JPG. In the toolbar that appears on the right, select the page range and other options and click "Convert". The reason why iSkysoft PDF Editor 6 Professional for Mac (or iSkysoft PDF Editor 6 Professional for Windows) is so effective is because it comes with features that are designed to make the management of all PDF documents easy. Like we said before, this tool is more than just a way to transfer PDF to JPG. These features make it the ultimate PDF management tool. It can be used to easily create PDF documents from other formats. 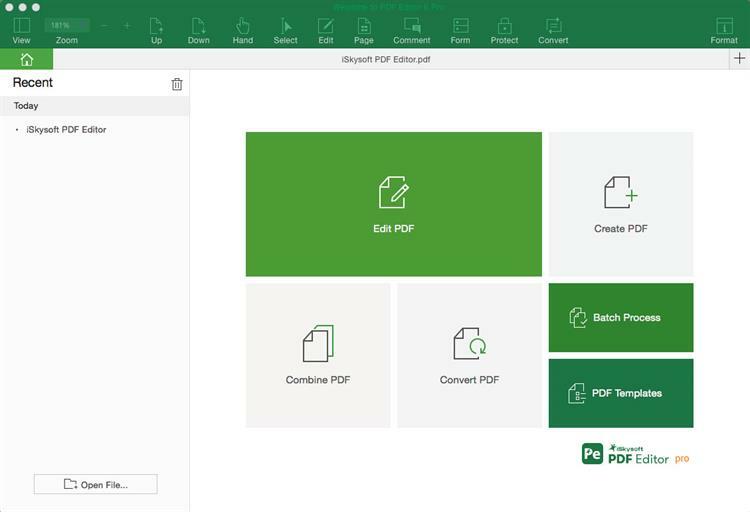 All you have to do is open any document in any format and the program automatically creates a PDF. You can use it to convert PDF documents to a lot of other formats that include Word, Excel, HTML, EPUB and more. 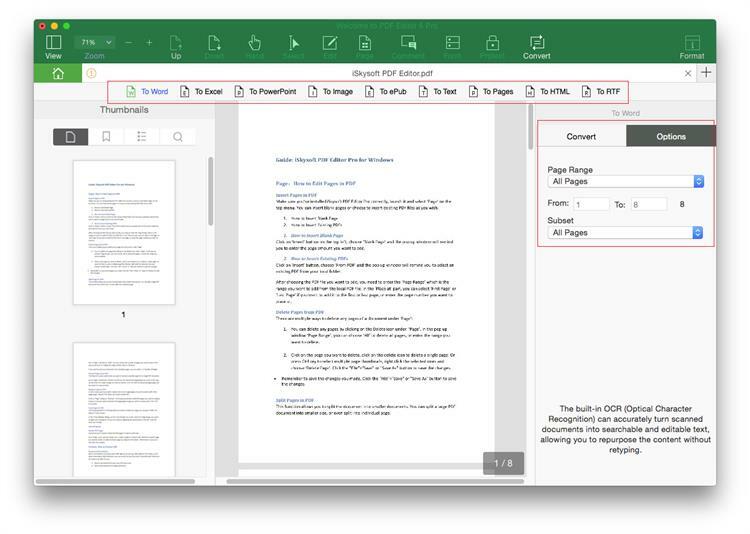 It comes with powerful PDF editing features that make it easy for you to edit the text, images and even the pages on the document. It also has an OCR feature that you can use to help edit scanned PDF documents. Its mark-up tools including the ability to highlight and underline text or even add custom stamps and comments make it the perfect PDF reader. When learning how to transfer PDF to JPG file, you may come across a lot of online tools designed for that purpose. These online tools are mostly free and can be quite effective. If you want to transfer PDF to JPG online, the following are just some of the best online tools to choose from. 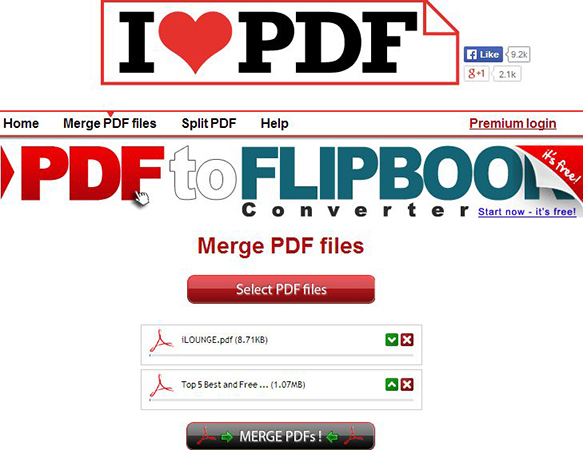 PDF to Image presents a great way to transfer PDF to JPG online. It is an easy enough tool to use and produces great quality JPG images. You can use it to convert multiple files at the same time although you can only upload files up to 50MB in size. PDFCandy provides a simple to use online tool that you can use to transfer PDF to JPG free, easily and quickly. It is very easy to use, allowing you to easily drag and drop the PDF document you want to convert right into the webpage. You also have the alternative to add the document from Google Drive or Dropbox. Online2PDF is a suite of tools that provides users with multiple options to convert PDFs to various formats. One of those tools is the transfer PDF to JPG tool that is easy to use and very effective. The tool allows you to drag and drop the PDF file you would like to convert and in a few minutes have the converted file ready to download. You can upload up to 20 files at the same time as long as they don't exceed 150MB in size. This is a simplistic tool that you can use to transfer PDF to JPG in a few simple steps. Like most online tools, using it is fairly straight forward; all you have to do is upload the file and the conversion is straightforward. It is different from others in that it allows you several options including setting the width of the output images. With this online tool, you can either select a PDF from your computer, Dropbox or Google Drive to transfer to JPG. It is also ideal when you need to extract images from any PDF document. Most online tools will limit the number of files you can convert per day. Many will also be unable to convert large PDF documents with too many pages. Because they are online based and you have to upload the file to their server, you can never be guaranteed of the security of the document or the data on it. Online tools are also very limited in features and may not give you a lot of options when it comes to editing a PDF document.